Urban beehives are becoming more and more popular, offering people living in the city a chance to reconnect with nature and their communities whilst producing a sustainable local product and protecting our dwindling bee population. One concern though, is that the levels of pollutants and contaminants may be higher in honey produced by bees living in urban areas. Is honey from city bees safe to eat? The founders of the non-profit group Hives for Humanity, mother and daughter Julia and Sarah Common, were worried that honey produced by their urban bees may well have high levels of environmental contaminants. From one beehive in a community garden in Downtown Eastside Vancouver, Hives for Humanity now has 200 colonies across the city. The Hives for Humanity team had a chance encounter with Dominique Weis, which led to an exciting new collaboration. As Director of the Pacific Centre for Isotopic and Geochemical Research (PCIGR) at the University of British Columbia, Weis has access to the state-of-the-art lab equipment which would be essential for Hives for Humanity to test their honey. The scientists at PCIGR are used to analysing a wide range of different organic materials – from Hawaiian lava to Pacific oysters. Honey gave them a new challenge though, given its sticky, runny state. The honey had to be broken down and diluted, all whilst making sure the organic material to be analysed remained intact. The team also needed a reference material to compare the honey too – and in the end decided to use rice flour. Whilst that might sound strange, at a chemical level this is pretty similar to honey and so proved perfect for this purpose. The honey was tested for tiny levels of a range of materials including cadmium, copper, lead, arsenic and zinc, using geochemical and isotopic analysis. 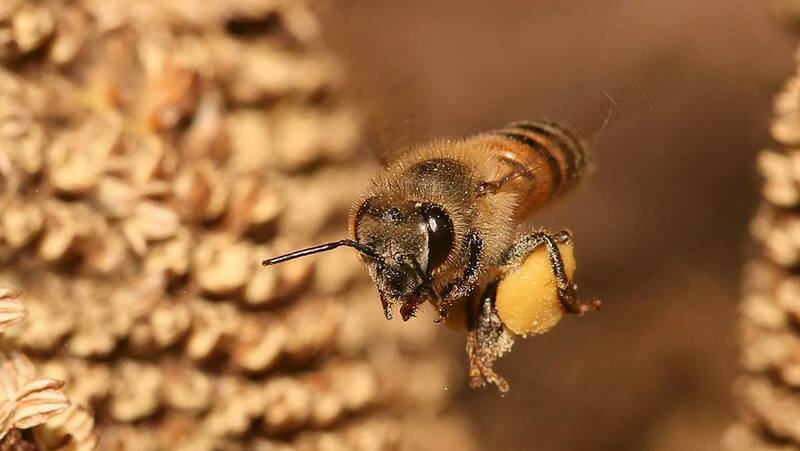 This also allows information to be found out about the growing conditions of plants in the area where the bees collect pollen, what sort of nutrients the plants have been growing in, as well as the soil type. The results were encouraging, showing that the honey produced by Hives for Humanity’s bee colonies is completely safe to eat. Both Hives for Humanity and PGIGR have bigger long-term plans for this type of research too. Using honey samples, baseline levels of pollutants and potential sources of lead in and around the Vancouver area can be monitored. Because the hives are located all over this area, and we know roughly how far bees tend to roam from their hives (around 2 – 3 km) it will be possible to trace the location of certain pollutants to within a certain region of Greater Vancouver. So as well as bringing communities together at the same time as pollinating our flowers, producing beautiful honey with a range of health benefits, bees can help us track the source of potential pollutants. Just one more reason to ensure that we work even harder to protect this wonderful yet endangered species.